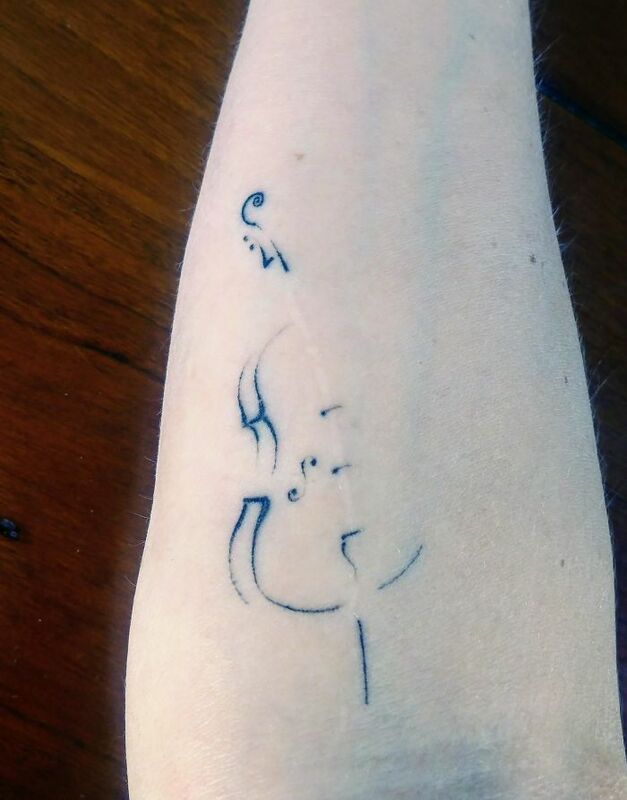 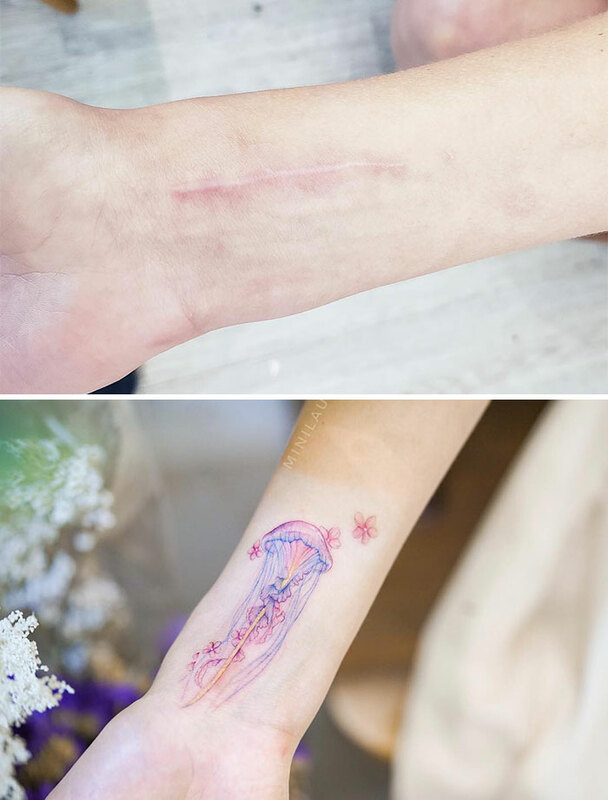 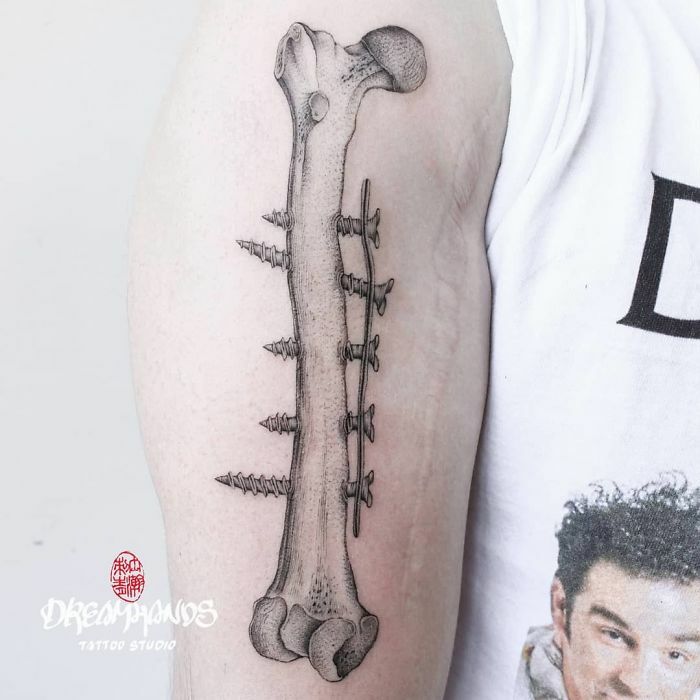 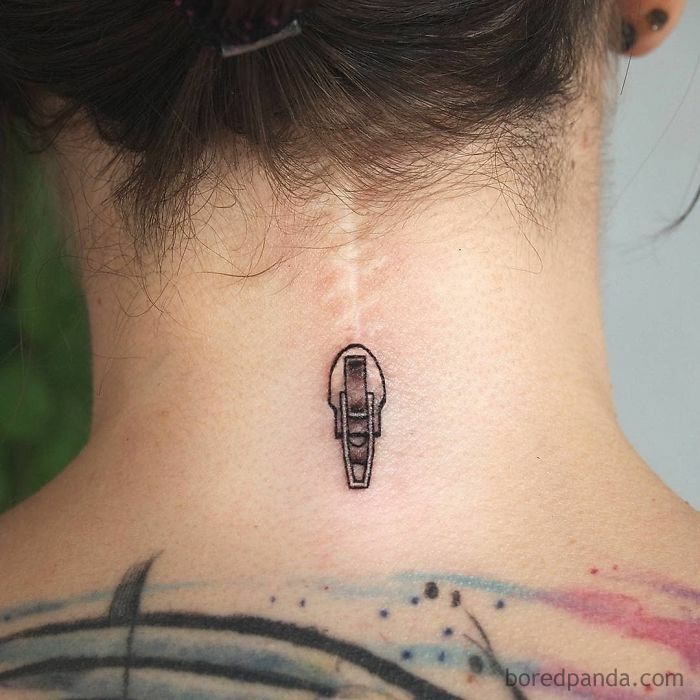 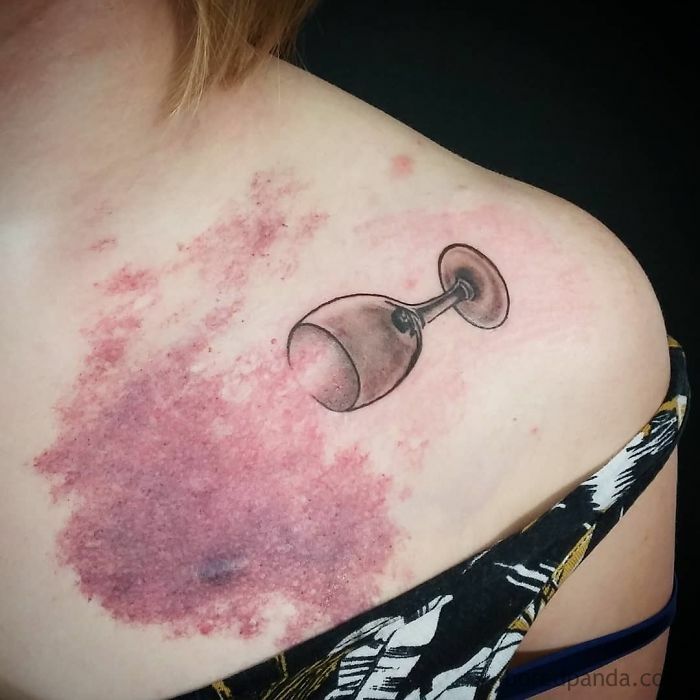 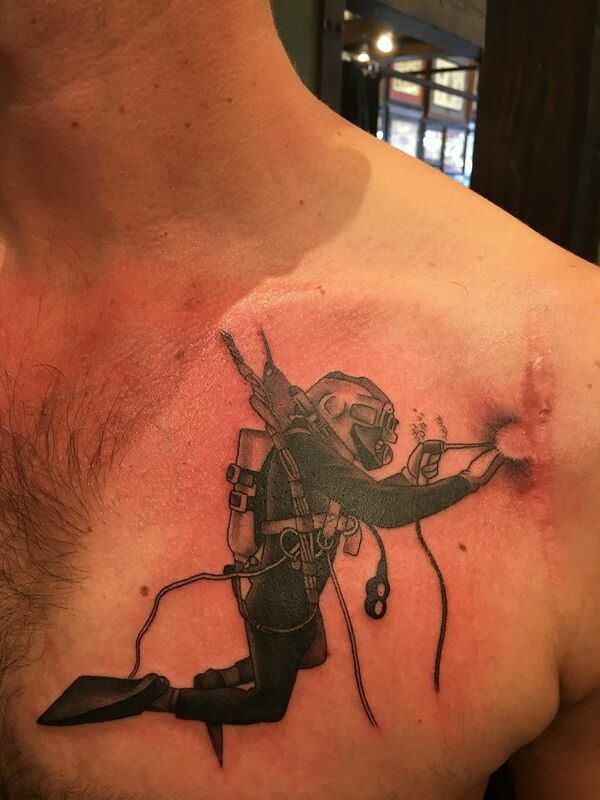 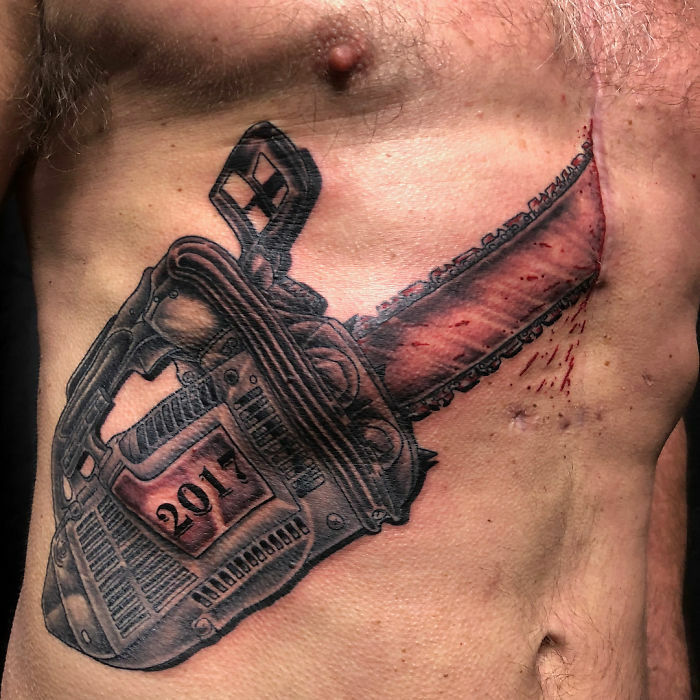 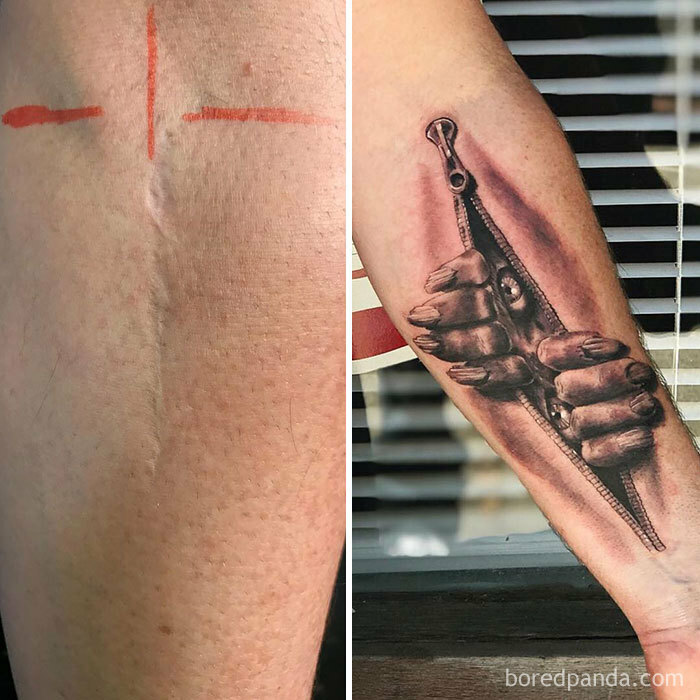 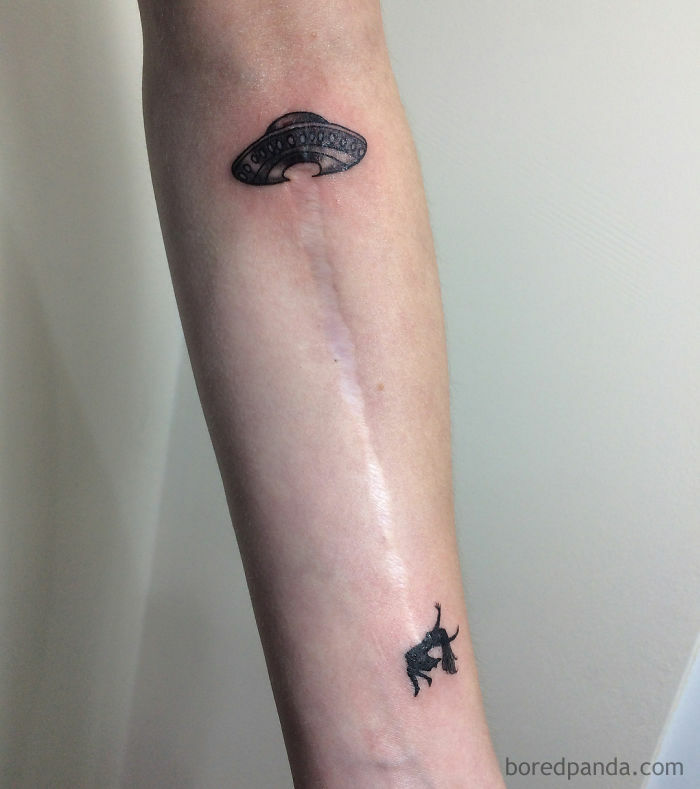 Scars and birthmarks can leave people feeling insecure and embarrassed about how they look, but tattoo artists have mastered the art of turning a reminder of a traumatic event or an unsightly birthmark into a work of art! 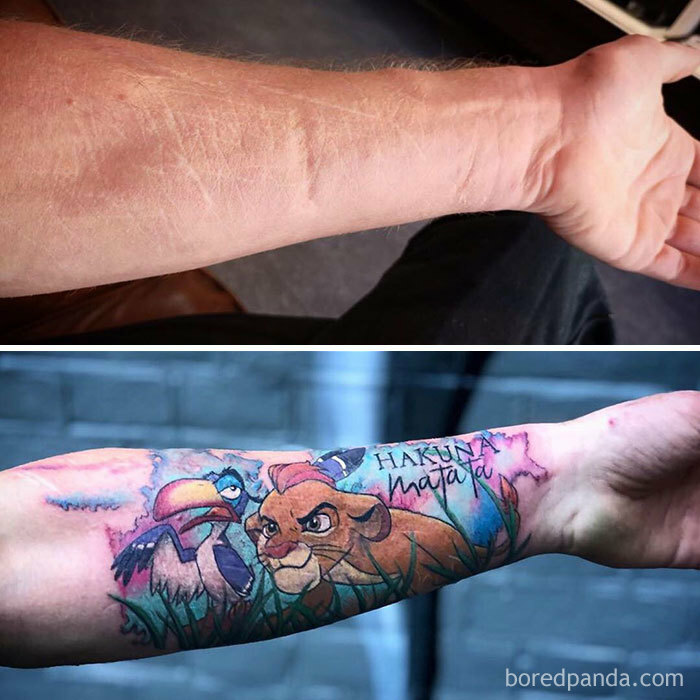 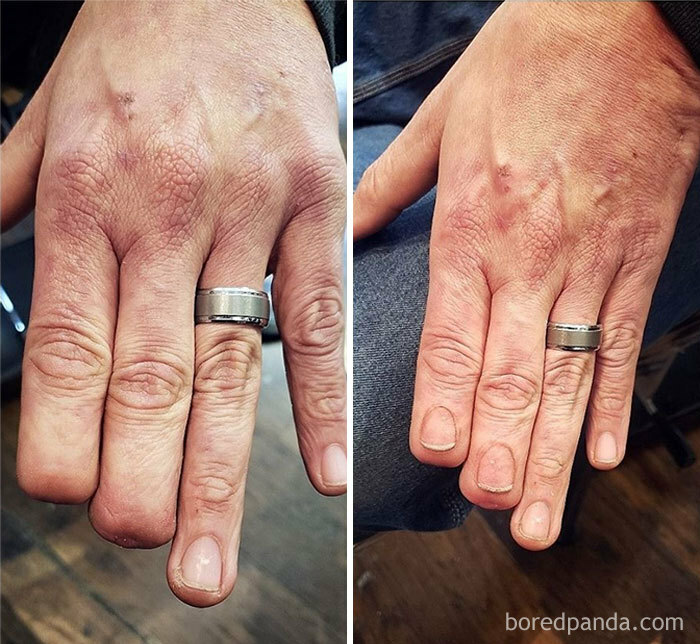 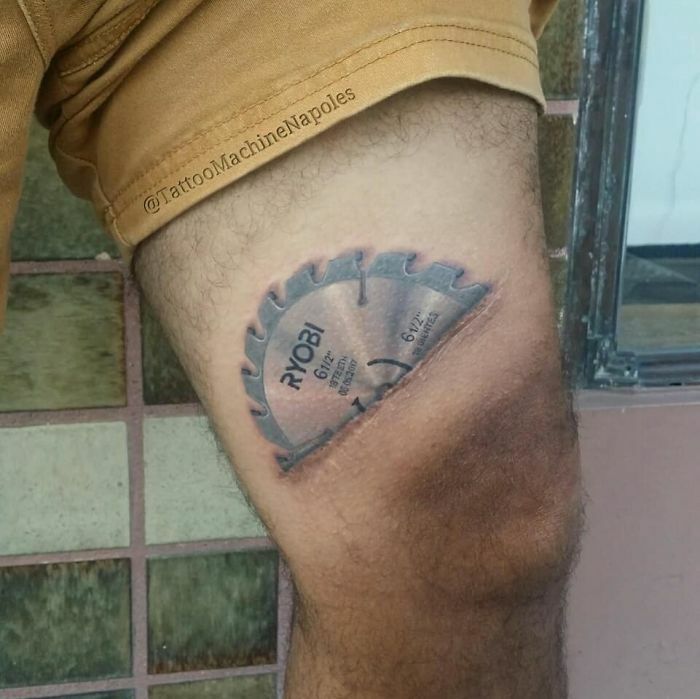 The tattoos are so good that, in a lot of cases, you either don’t notice the scar or birthmark or they have incorporated them into the design to create something truly unique! 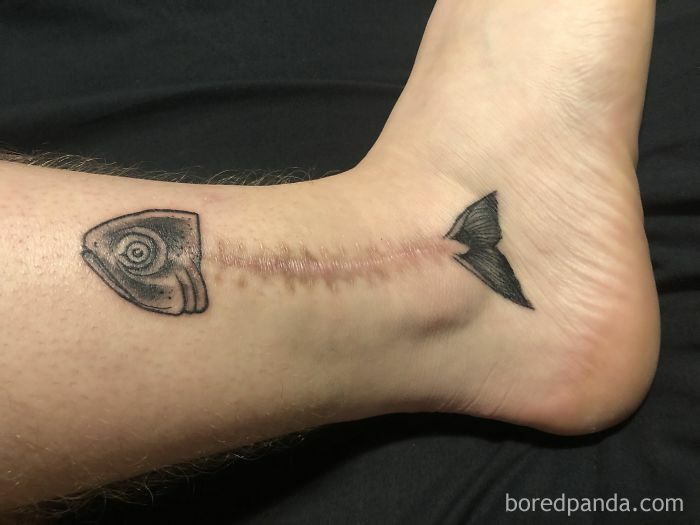 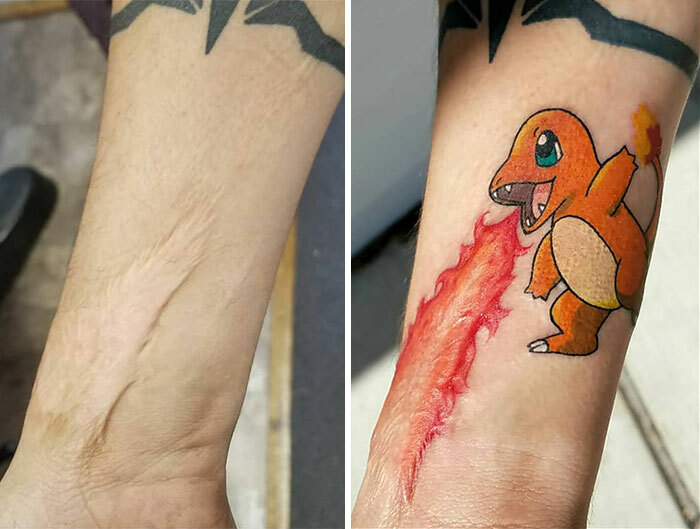 Here are seventeen amazing examples of surgical scars, burn scars, and birthmarks that have been turned into everything from saw blades and Pokemon to fish skeletons and alien abductions. 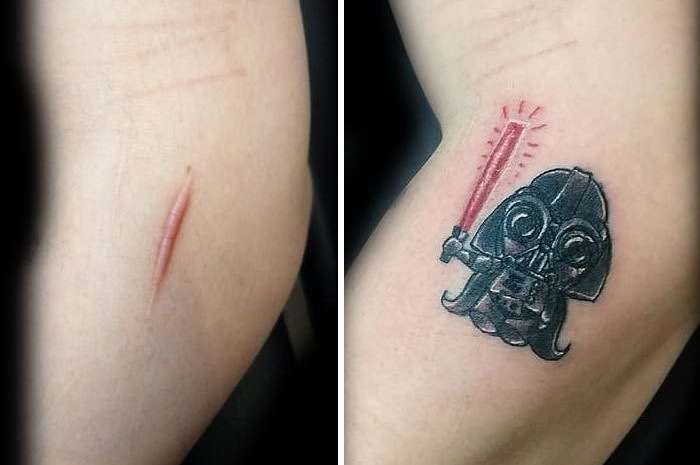 The great thing about these tattoos is that they are as therapeutic as they are cool!